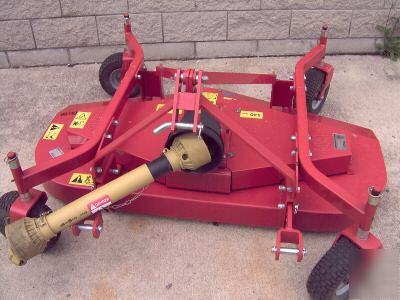 NEW 5' 3-PT WAC FINISH MOWER. 3-BLADES, BELT DRIVE FROM GEAR BOX. ONLY ONE AT THIS PRICE, THIS IS A LEFT OVER FROM LAST YEAR. NEVER USED. CALL 8AM TO 5PM WEKDAYS, 8AM TO 12PM SATUDAYS EASTERN TIME OR EMAIL FOR ALL YOUR TRACTOR PART NEEDS.